On July 19, 2016, the San Francisco Board of Supervisors unanimously approved the ordinance authorizing our agreement with the Recreation & Park Department! Formalizing the transfer of the reservoir site and the in-kind grant needed to construct and maintain the park was a process that took several months and we are excited to have finally completed this milestone. July 2014: Board of Supervisors approves transfer of the Francisco Reservoir from SFPUC to the Recreation & Park Department. April 2015: Rec & Park files a Preliminary Project Assessment (PPA) with the Planning Department. October 2015: Rec & Park submits Environmental Evaluation Application (EEA) to the Planning Department to begin the environmental review process, as required by CEQA. 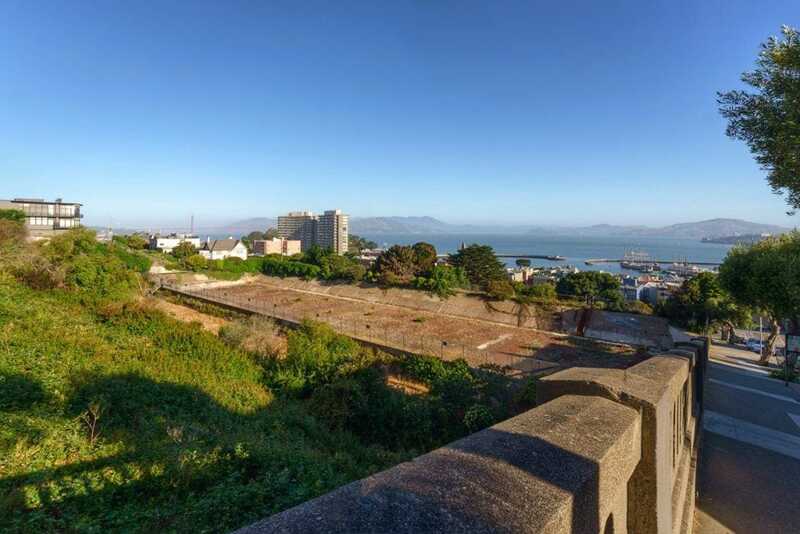 June 2016: Rec & Park Commission votes to recommend entering into an agreement with the Francisco Park Conservancy and accept an in-kind grant to cover construction and maintenance of the new park. 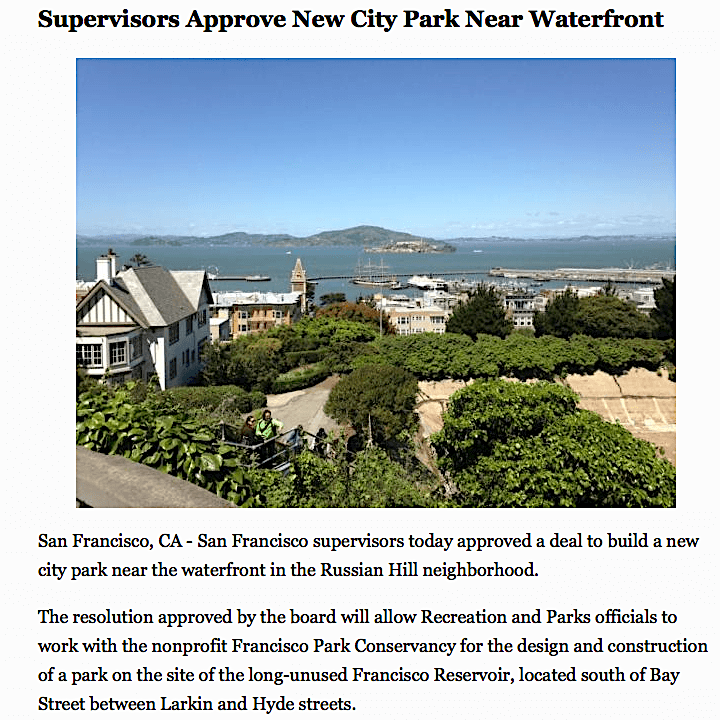 July 2016: Board of Supervisors unanimously approves the ordinance authorizing the agreement between Rec & Park and the Francisco Park Conservancy. We are immensely grateful to all of you who came out in support of the project throughout this process. We would not be here without your help! The next important phase of the project is community outreach. 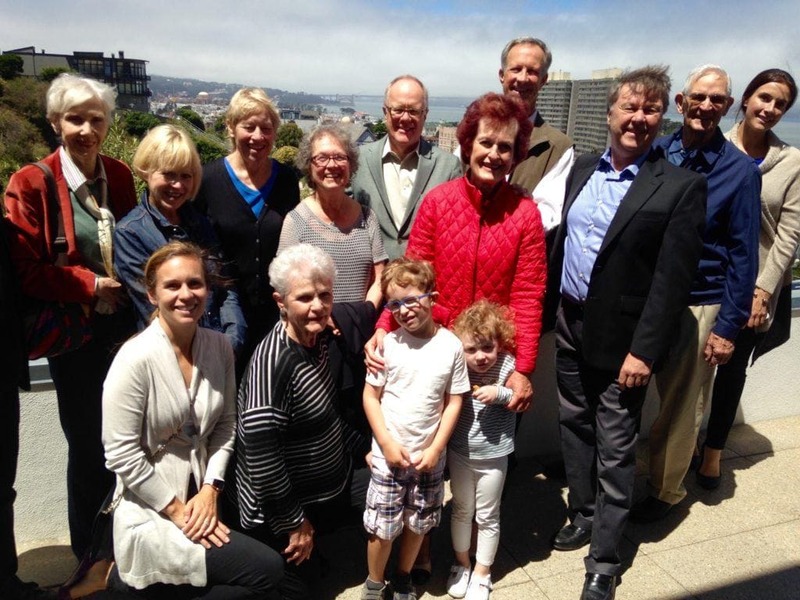 The Francisco Park Conservancy Board of Directors will be meeting with City officials in the coming weeks to create an outreach plan that reaches communities throughout San Francisco. The dates and locations for these public meetings are forthcoming and we will be sure to update you as they are confirmed. Public outreach – remainder of 2016. Project approvals, construction documents and permitting through 2017. Start construction in spring of 2018. Thank you for your continued support of this exciting project. We are looking forward to your input and help as we build this new public park, together. next post: Formal signing of Agreement!